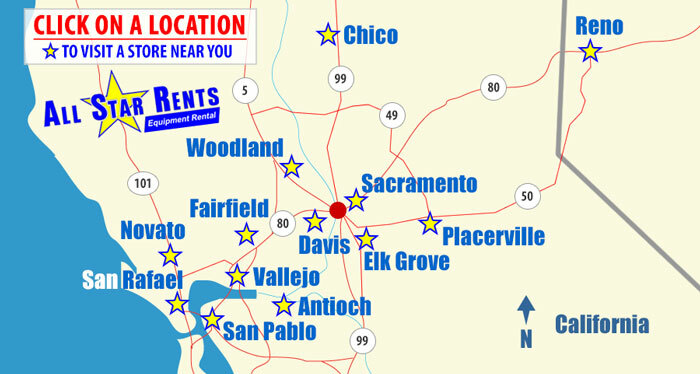 All Star Rents carries several items to help you complete your tree work projects. Most are simple and easy to use and will save you time and money. Safety is Job #1 when it comes to tree work. Whether you are operating equipment designed to cut limbs or grind stumps or getting yourself up on a ladder to get the job done – keep your safety and the safety of those around you as your priority. Actually a pretty safe and easy project depending on the size and location of the tree. When in doubt – call a professional. But with a little forethought and planning you can cut down a tree in your yard and turn it into firewood and mulch or just remove it from your property. Brush chippers are an easy (and "green") way to convert limbs to useable mulch. 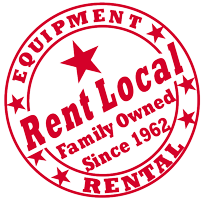 At All Star Rents we carry a Brush Bandit 6" chipper at most locations. These are towable units designed to chip branches up to 6" in diameter. We also carry one designed for up to 9" branches that travels from store to store as needed. An excellent way to remove the stump that remains from cutting down your tree. We carry a fully hydraulic model for larger stumps as well as the smaller unit for smaller stumps.